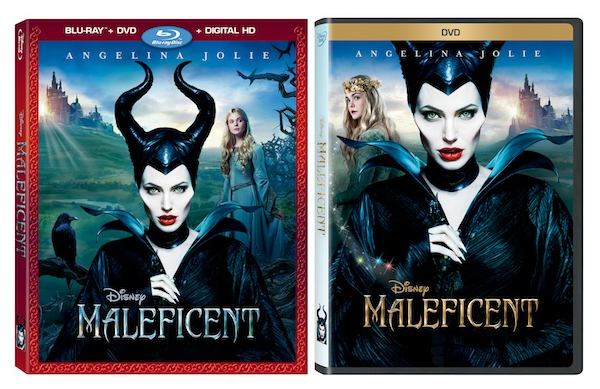 You are at:Home»Entertainment»Maleficent on Disney Blu-ray/DVD with Bonus Features November 4th! Maleficent on Disney Blu-ray/DVD with Bonus Features November 4th! Maleficent is one of this year’s biggest box office successes, and tomorrow, November 4th, you can bring home this favorite Disney villain on Blu-Ray, DVD, and Digital HD! As one of my all-time favorite movies, I can honestly say that this is one Disney movie my family will watch again and again! I love how Disney remained true to the Sleeping Beauty we grew up with, while at the same time taking the story even deeper by giving us an intriguing look into the characters and the reasons behind their actions. They have managed to take a much-loved classic story and spin a new timeless tale! In addition to an amazing movie, one of the coolest things about your owning this Blu-ray Combo Pack is that it contains all-new bonus features, including several deleted scenes and behind-the-scenes featurettes! Usually I don’t pay much attention to the bonus features, but now I realize I have been missing out! Just look at what you will get! From Fairy Tale to Feature Film – Reimagining Maleficent for a new generation – learn how Disney’s animated classic “Sleeping Beauty” was re-imagined as this innovative, live-action epic! Building An Epic Battle –Creating the clash between Maleficent and King Henry’s Forces – watch how the opening battle scene was created using elaborate choreography and special wire rigs. Classic Couture – Examine Maleficent’s spellbinding head wraps and jewelry and all of the meticulous work that went into making them. Aurora: Becoming A Beauty – Elle Fanning shares her lifelong love of Disney’s original animated classic, and how playing Aurora was her fairytale dream come true! Maleficent Revealed – Explore and relive the film’s journey to the screen through concept art, layered visual effects, extraordinary special effects and behind the scenes footage. Be sure to bring home this classic on Blu-Ray, DVD, and Digital HD starting tomorrow November 4th. Or you can preorder it right now on Amazon.com, and if you select one day shipping you can have it in time to watch with your family tomorrow night!